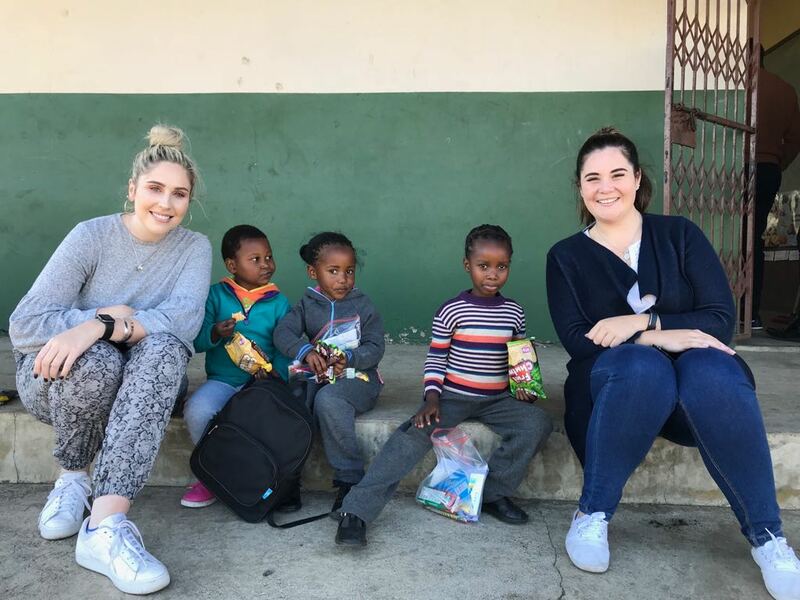 In celebration of Nelson Mandela’s 100th birthday, and what is a truly special Madiba Day, we, as Samsonite Southern Africa, wanted to give back to our community in a way that was special for us. 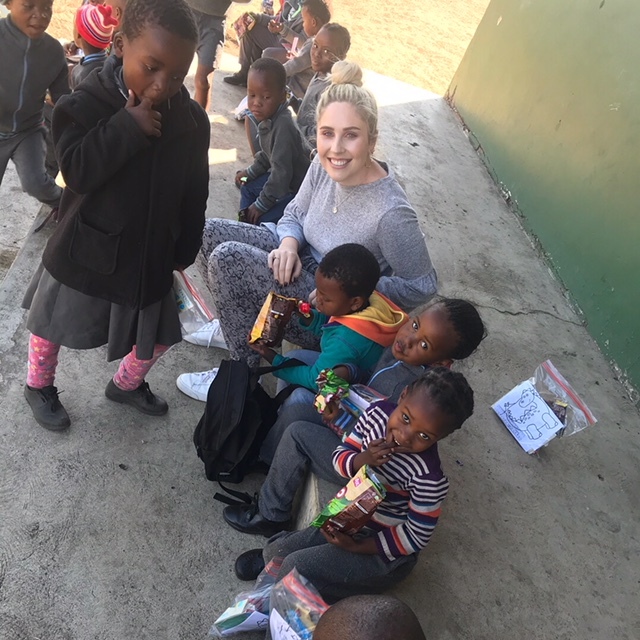 As part of our efforts to give back we had the privilege of visiting Arden Primary school based in the Mid-Illovo area to give a very special gift. our team with the wonderful kids at arden primary school! Being a small farm school of 38 students with only 3 teachers, these children did not have a recreational area to play in during break times. 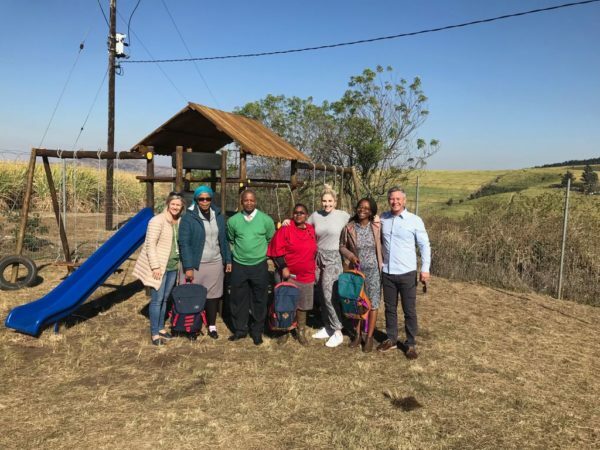 We thought it would be perfect to gift these special young children with a jungle gym, not only to make play time memorable but also assist in their motor skill development. What a joy it was to see the delight on their faces when they were told they were allowed to play on it outside. .
Our E-Commerce Team with the teachers of arden primary and their principle mrs. gwambe with the new jungle gym! 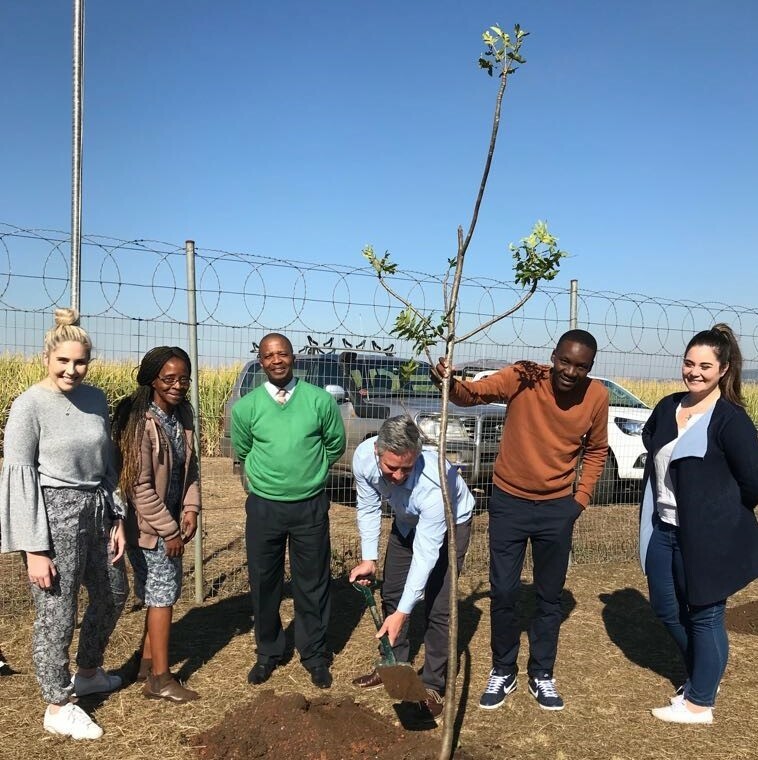 We were also thrilled to plant 5 trees for them which will enrich their school grounds and eventually turn into shaded areas for the kids to enjoy play and lunch time. This is a big drive for Samsonite globally in an effort to reduce our carbon footprint and give back to our environment. Along with that we gifted each teacher with an American Tourister backpack, filled with writing equipment, books and snacks. 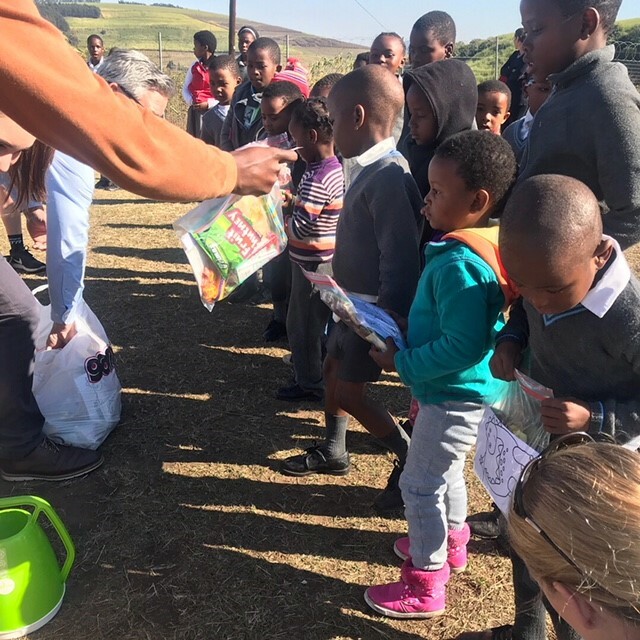 Special thanks must be made to Darrin Barfoot from National Stationers, who sponsored us with stationary to give to the kids in their goodie bags as well as writing books for all the children, we also thank Supa Mama for sponsoring these bags. This entry was posted in CSR, General. Bookmark the permalink. American Tourister SA is here!